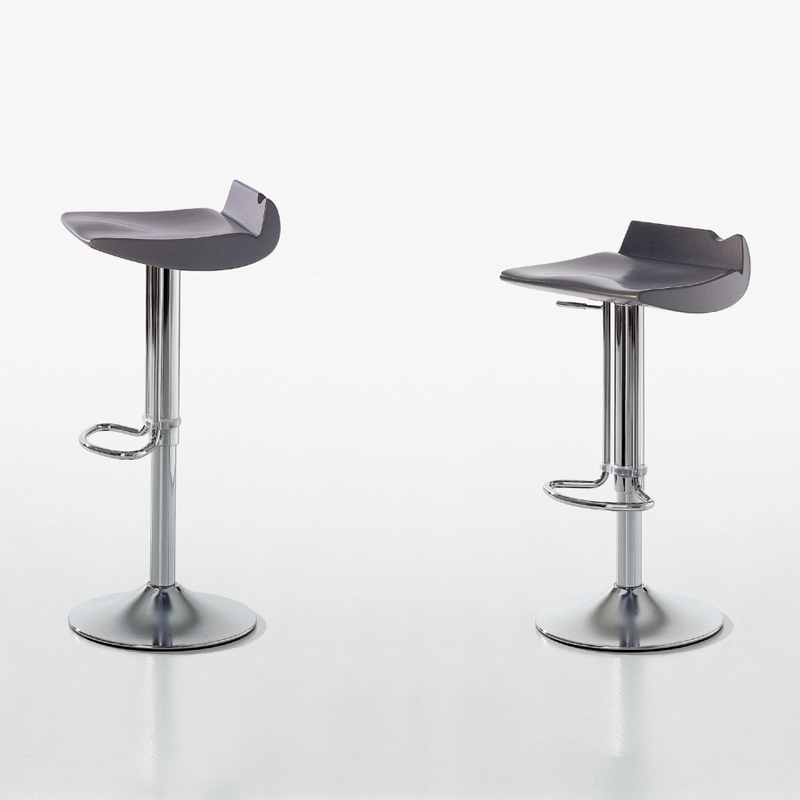 Family of swivel stools with gas piston-operated height adjustment. 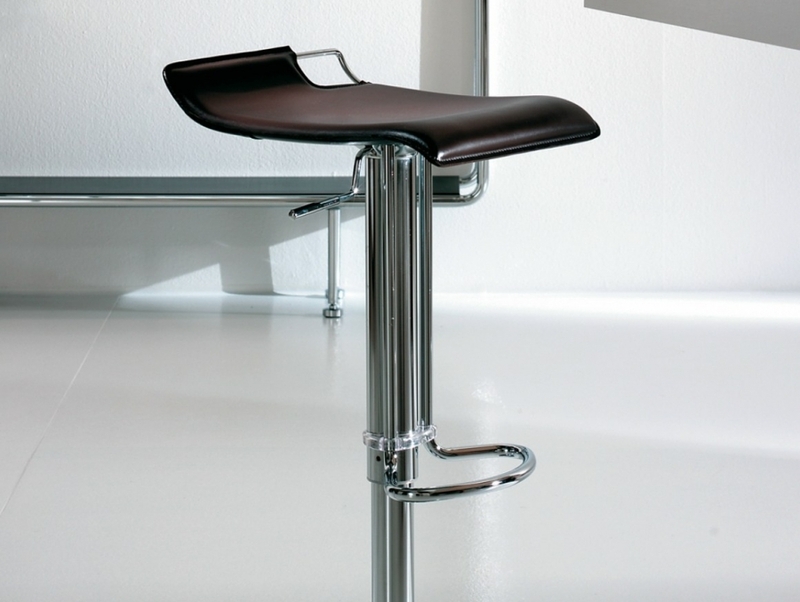 Frame and base: chrome-plated steel. 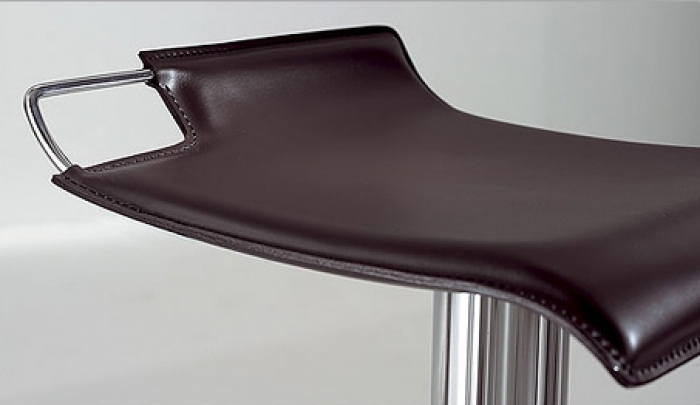 Seat: ABS (Bask) or emery hide (Hoppy). 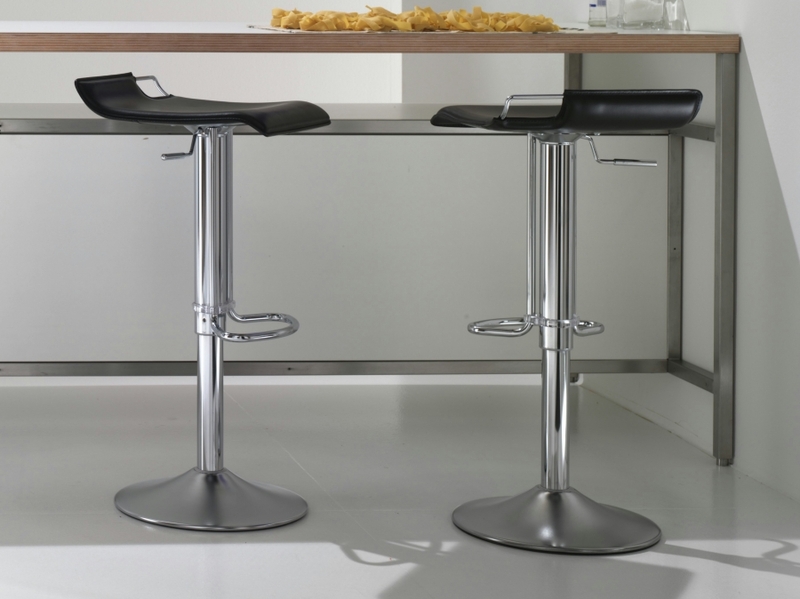 Suitable for both home furnishing and the contract sector.